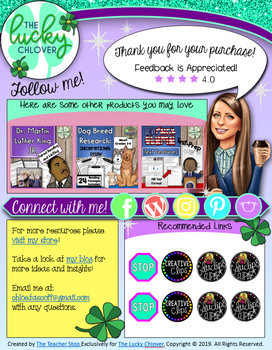 You are purchasing 1 custom-designed thank you page template for your TpT resources. This product is made specifically for TpT sellers! If you have been wanting to overhaul your thank you page, this product is EXACTLY what you want! Make the last thing your customers see something AMAZING! Yes, many of the parts are EDITABLE! Your product will now end with the great quality you began with!